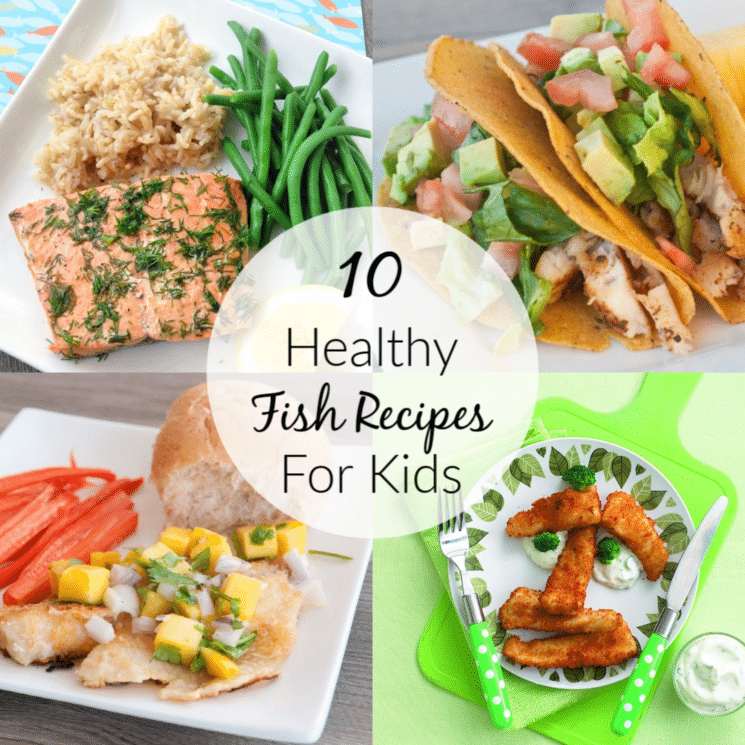 Break out of the dreaded dinner rut with these ten kid-pleasing, flavorful fish recipes. Eating fish is linked to a lower risk of heart disease, diabetes, and autoimmune disorders. It’s high in protein, minerals, and healthy omega-3 fatty acids. Fish can lessen childhood asthma, and improve sleep and memory. It even positively influences brain health and development… including that of babies in the womb! 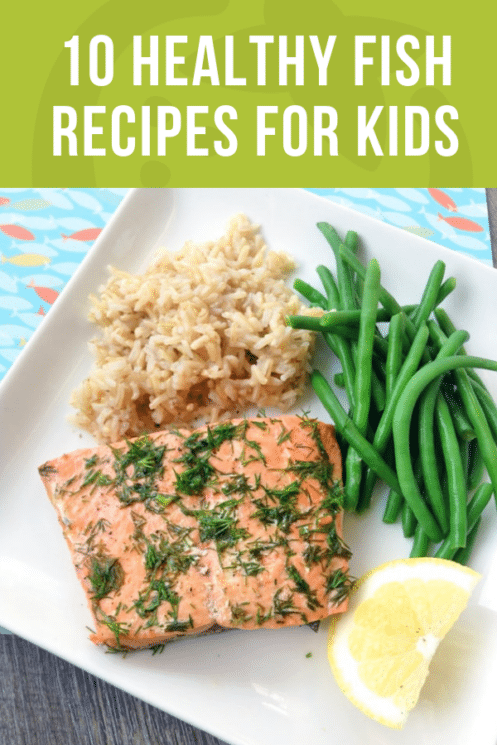 All this is to say that fish is an excellent food for kids (and their parents) who want to be healthy, happy, and super smart. Add a serving of fish to your family’s meal plan this week. We brought the recipes! Scroll on. Here’s a super-fast main dish that’s filled with healthy omega-3 fatty acids and fresh herbs. 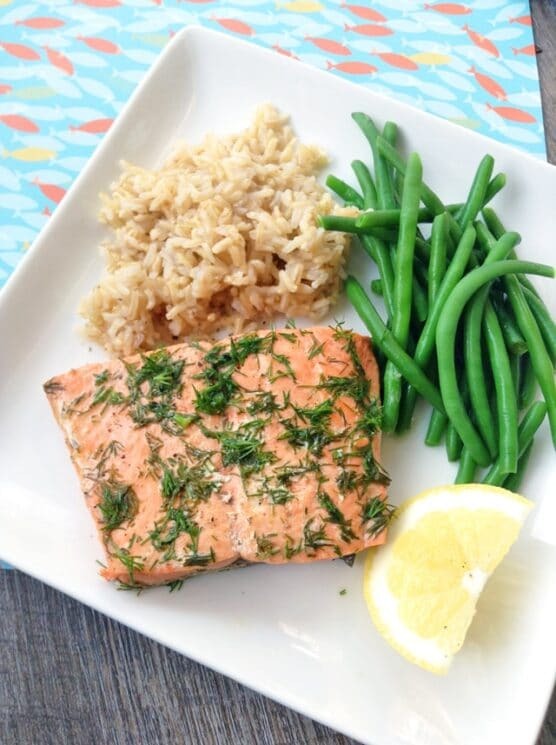 Cook your sides ahead of time… the salmon cooks so fast you’ll need a head start. 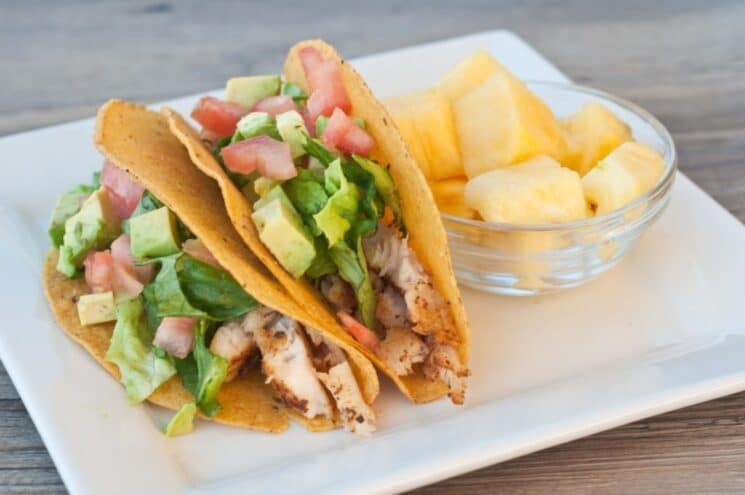 This nutritious, tropical-tasting recipe is one of our most popular fish recipes in the Prepear app. 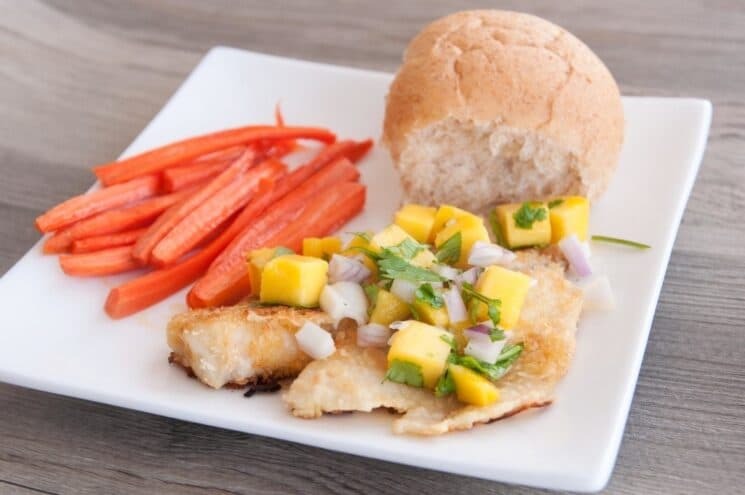 The crispy coating and sweet mango salsa might prove a big enticement for kids who are learning to like fish. 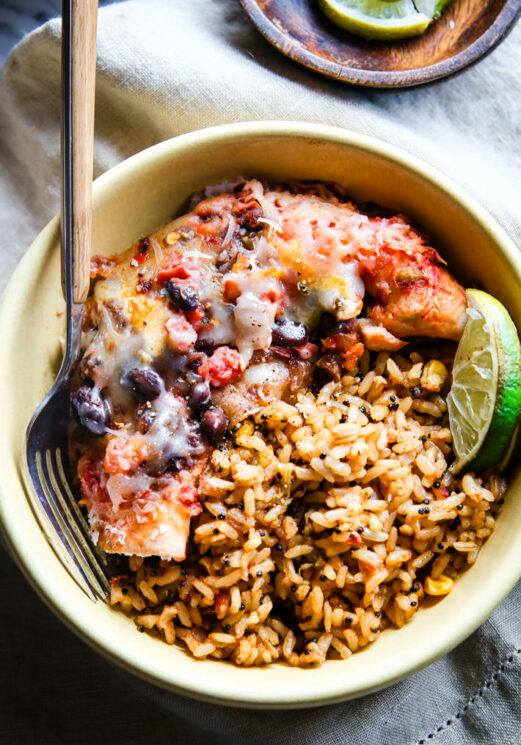 It’s a burrito in a bowl! And filled with nutritious salmon and beans. This recipe lets you take a shortcut with canned salmon if you like. Kids love to get their own personal foil pack full of tasty food. 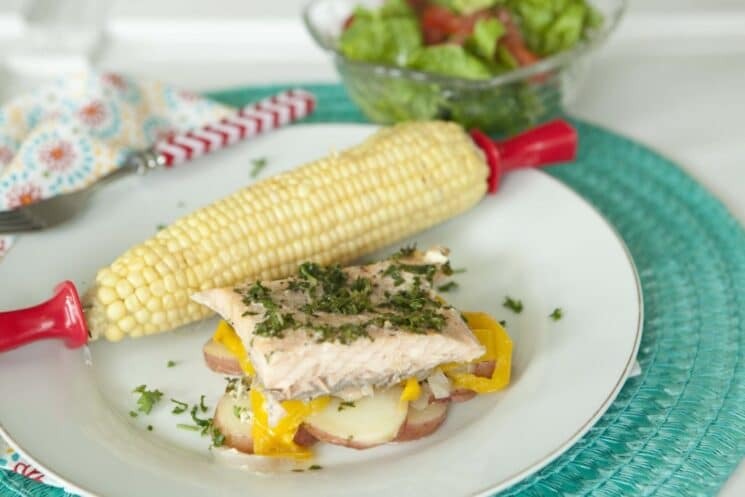 Serve up these tender salmon fillets and veggies at your next grill night. 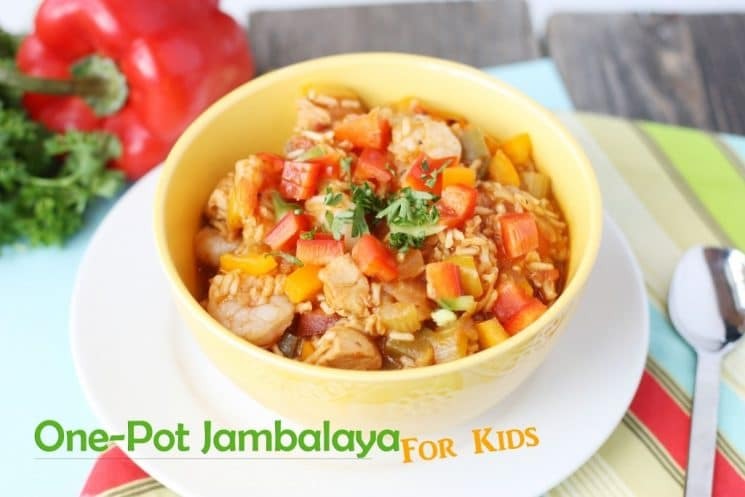 Satisfy meat-lovers and seafood-lovers with this simple (really), veggie-packed Jambalaya. Shrimp has a slightly different nutrient profile than finned fishes, but it’s still a healthy seafood rich in protein and minerals. If you’re used to serving this classic kid-food from the freezer, you have to try this homemade version. Tip: double or even triple the recipe. You’ll be glad you did. Crispy fish tacos? Yes please! Freshen up Taco Tuesday with tender, nourishing, southwestern-spiced pieces of fish. Let picky eaters choose their own toppings, family style. Delicate flounder is topped with crunchy Parmesan crumbs for a kid-pleasing dinner you can serve in under 30 minutes. Pair canned tuna with fiber-rich white beans in this fast packable lunch. 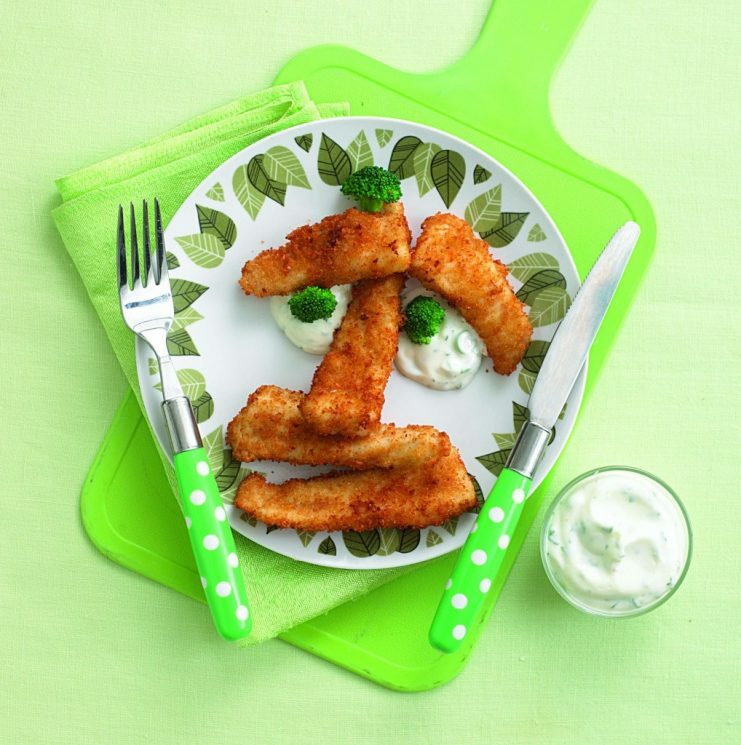 Try this for kids who don’t care for mayonnaise. A sweet, surprising blend of spices makes this fish recipe into something fresh. Serve it with rice or quinoa and veggies on the side.